BOSTON — You could call it a Christmas miracle. 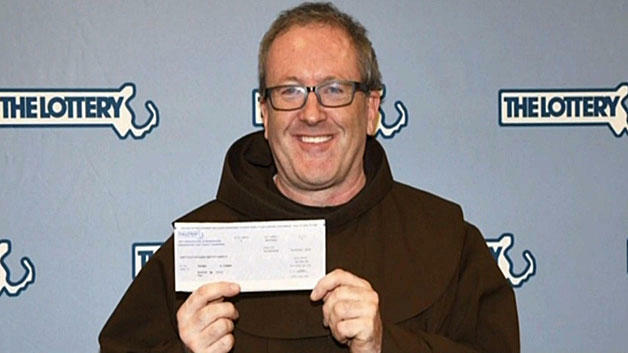 Somebody won a $100,000 lottery ticket and instead of cashing it in themselves, they handed it over to a friar for a higher use, CBS Boston reported. A donor gave the lottery winnings to Saint Anthony Shrine, the same church that was robbed earlier in December. The money will go toward feeding and providing community outreach services to the less fortunate and homeless, Father Thomas Conway said. “He’s really really touched people and inspired them and made them feel better about humanity to tell you the truth,” Conway said of the anonymous donor. “Talk about the Christmas spirit, what’s better than that than sharing what you have with the poor,” Mary Anne Rooney-Hegan, the church’s development director, said. Worshipers learned of the donation and they were in awe. Church officials aren’t sure if the anonymous donor is rich or poor, all they know is he is an older man. But, they do know he is rich at heart.